Home/Air Plant Care/What are Air Plants? Their true name is Tillandsia. The reason why they are nicknamed “Air Plants” is because they get the majority of their nutrients from the air. 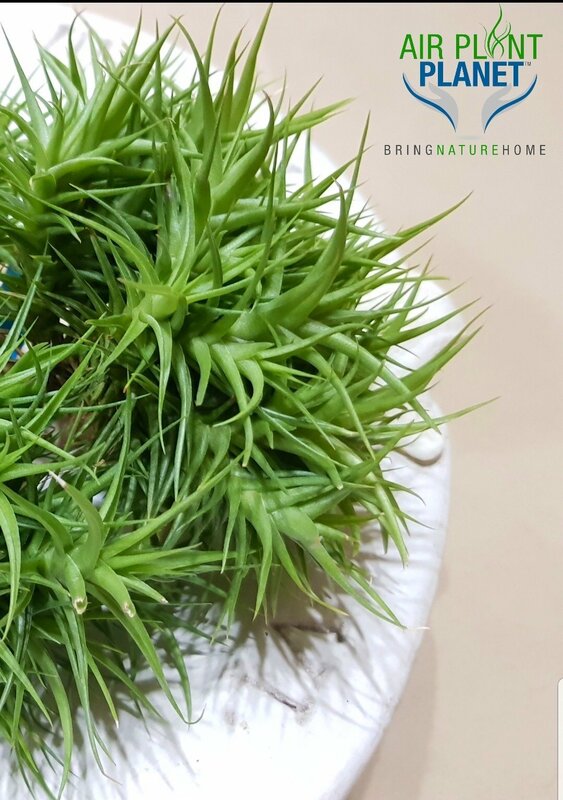 Tillandsia is a genus of around 650 species of evergreen, perennial flowering plants in the family Bromeliaceae, native to the forests, mountains and deserts of northern Mexico and south-eastern United States, Mesoamerica and the Caribbean to mid Argentina. Their leaves, more or less silvery in color, are covered with specialized cells capable of rapidly absorbing ambient humidity. These low-maintenance plants are the perfect little companions for home, work or anywhere else. They require very little up-keep, and are a nice green addition to brighten any setting regardless of the season. You should water the Air Plants in accordance to the weather. Water/mist/soak more often if it is hot and dry, and less often when it is cold, dark or damp. Generally, the best way to care for them is to have a soak once every week that can range between fifteen minutes to 2-3 hours. Make sure to let them to dry completely before placing them back into their home, to avoid rotting and mold. WHEN SHOULD YOU WATER THEM? with clean scissors. You should then remedy the care by moving it out of direct sunlight or increase your watering or misting. Beginner Guide – How much to water Air Plants?